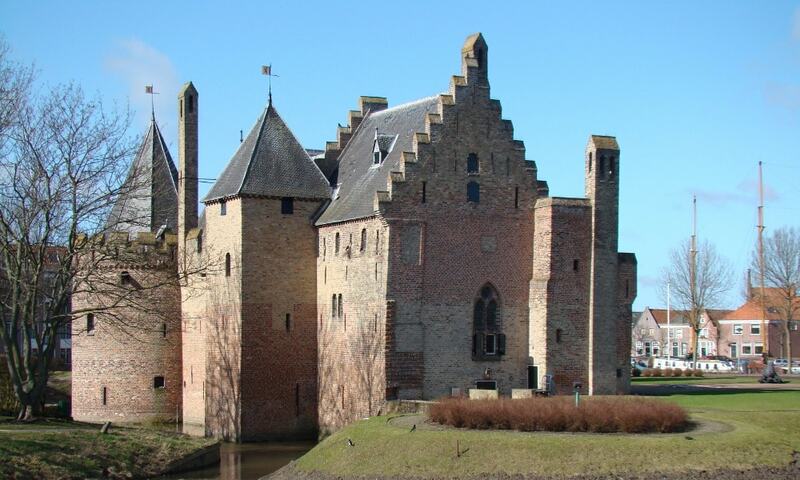 Radboud Castle was commissioned by Floris V, who reigned as Count of Holland and Zeeland from 1256 until 1296. The building was fortunately completed before the St. Lucia's Flood that affected the Netherlands and Northern Germany on 14 December 1287 (the day after St. Lucia Day), killing approximately 50,000 to 80,000 people in the sixth largest flood in recorded history. The defensive function of the castle was reduced with the building of walls around the city of Medemblik in 1572 and due to both dismantling and lack of maintenance there was attrition of the castle buildings. Restorations were done both in 1889 and then in 1965, the later with a more historical and architectural correctness. On 4 September 1939 Nachtwacht by Rembrandt was stored here temporarily before being moved in May 1940 to a bunker in the dunes near Castricum.